Passion, craftsmanship, exquisite materials, and dreamscapes are central to Katinka Waelbers’ art. She greatly enjoys working for individual clients, designing based on their specific wishes. In her autonomous work, Katinka's main strength lies in creating surrealist sculptures, paintings, and art installations, with which she aims to think the unthinkable, express the inexpressible and make the unmakeable makeable. It is for this reason that her Italian art friends have lovingly named her ´the new Hieronymus Bosch’, a title she wears with considerable pride. 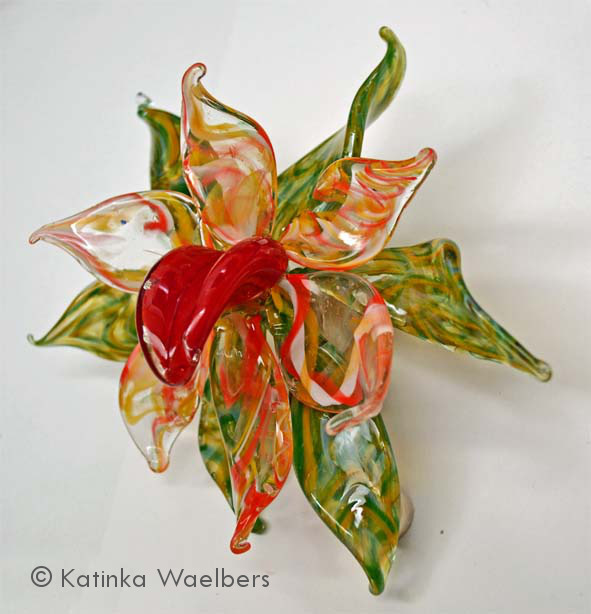 Katinka Waelbers is a professional artist, working mainly with glass, enamel and, for large statues, plastics. She regularly exhibits her creations, also internationally. Some of the international galleries and studios that have showcased her art are located in Milan, Florence, Budapest, Limoges, Ekeren (Antwerp), Trier and Himmerod (annually). 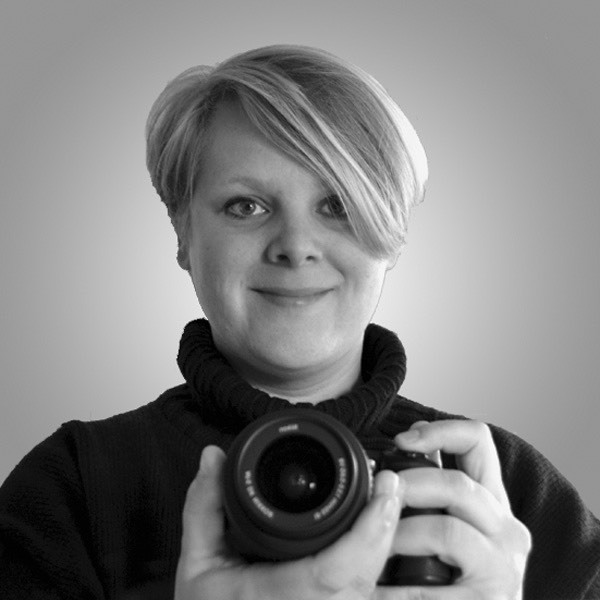 Katinka works on commission for private clients as well as commercial companies. With unflinching enthusiasm, she organises workshops, art demonstrations and taster sessions, both in her own studio and for museums and art institutes throughout Europe. Katinka was born in Oss, Brabant, in 1975. After finishing pre-university education, she continued her studies at Utrecht University, where she successfully completed two full-time programmes in Natural Sciences and Philosophy. The Natural Sciences curriculum (including a great deal of chemistry, physics and even a four-week course on ‘crystalline and amorphous materials’) proved to be ideal for mastering the skills needed to work with glass and enamel. Katinka then moved into the realms of philosophy and became involved in education and research. For fifteen years, she worked for a number of Dutch academic universities and universities of applied science. She completed her PhD project at the Technical University of Twente, where she published her philosophy dissertation on technology and design. Katinka’s philosophy background has always remained an extremely valuable source of inspiration. 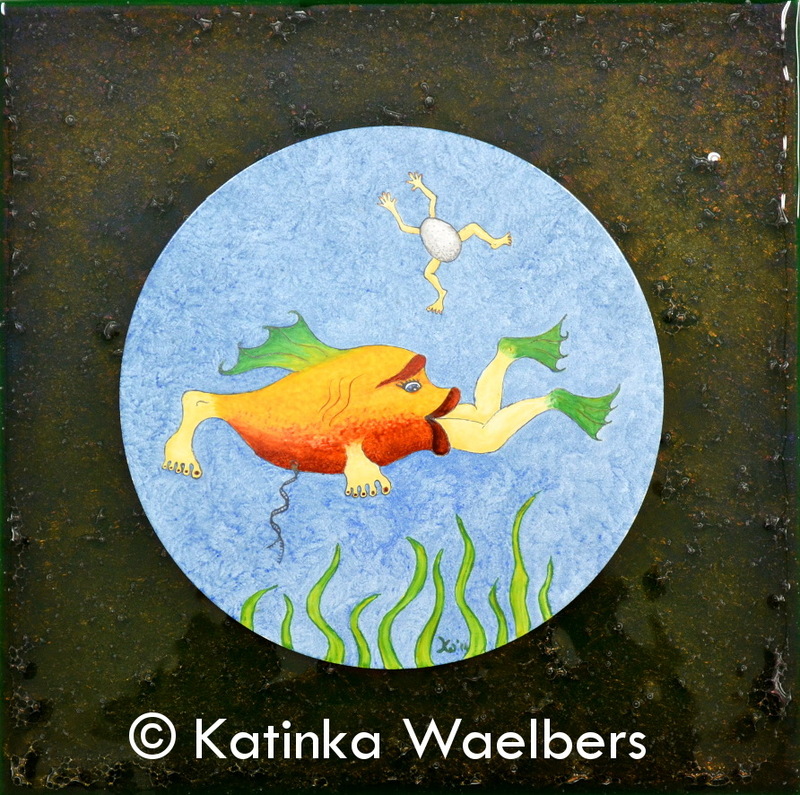 In 2006, Katinka started to work with enamel and glass, a process that came to full fruition in 2008 with the establishment of her own professional glass and artwork studio. As of January 2012, this is a more than full time enterprise.